Writership is pleased to present the second in our series of creative writing prompt books. 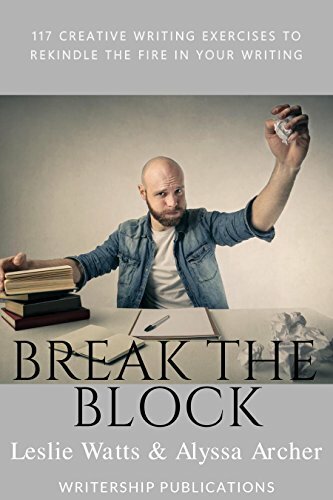 Break the Block: 117 Exercises to Rekindle the Fire in Your Writing is chock full of gorgeous pictures and writing prompts for you to push past the resistance that’s keeping you from putting words on the page. Complete with an introduction to freewriting, this book provides lots of fodder for your creative explorations. Approach the prompts in order or flip to a random page for new inspiration. Revisit the prompts for a deeper dive into the topic at hand. When combined with a daily practice, these prompts will help you understand what’s holding you back and how to break free from your inner demons. Break the block and write on!